The King's Woman 丽姬传 (then renamed to 秦时丽人明月心) stars Dilraba Dilmurat, Vin Zhang, and Liu Chang as Gong Sun Li, Ying Zheng, and Jing Ke, respectively. Dilraba Dilmurat and Vin Zhang are coming off of their roles in Ten Miles of Peach Blossoms, which was hugely successful in China and worldwide, and this drama provides the opportunity for them to show off the extent of their skills in acting. 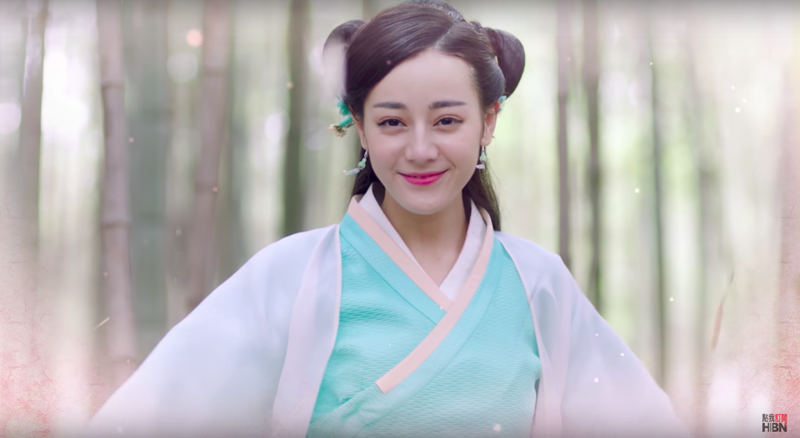 Our opening scene has Gong Sun Li (Dilraba Dilmurat), Jing Ke (Liu Chang) and her grandfather Gong Sun Yu riding their horses through the woods. 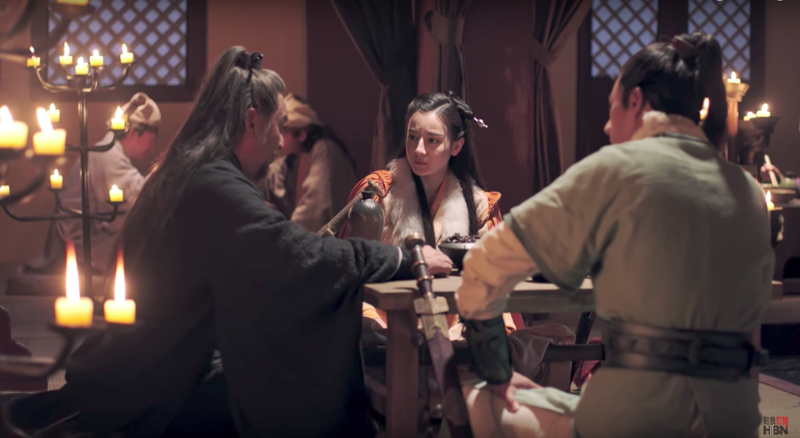 We next see them seated around a table having a meal to discuss the unusual departure of the swordsman Ge Nie from the Kingdom of Qin, which is his homeland. 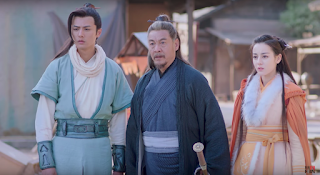 We learn that these three are citizens of the Kingdom of Wei and that Gong Sun Yu is the Commander-in-Chief of Puyang City. 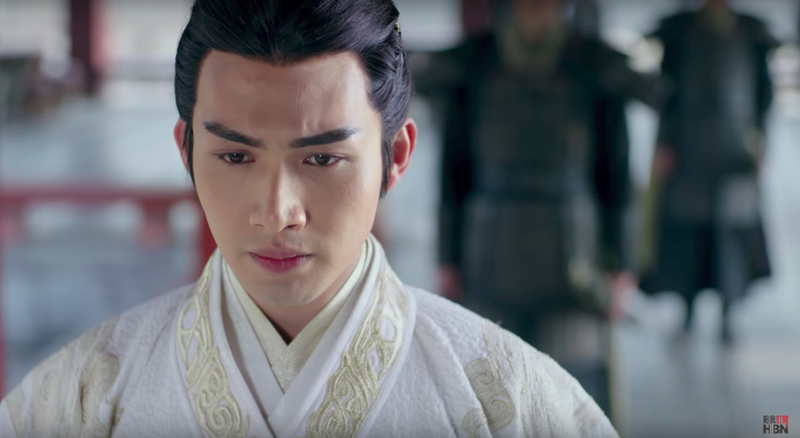 It turns out that Ge Nie left Qin because he did not want to be associated with the unsavory happenings in the palace. The Kingdom of Qin has been aiming to take over all of the kingdoms and unite them under Qin rule. We also learn that the King of Wei is subjugated to the King of Qin and that an official of Qin named Lu Buwei has amassed much political power. Lu Buwei was behind Ying Zheng's appointment to become the Crown Prince and he is also the cause of the animosity between certain kingdoms. 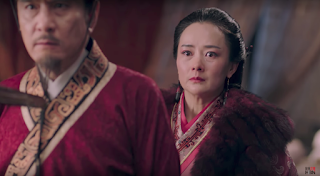 Gong Sun Li comments that the Kingdom of Qin means to have constant war and strife and unless the Six Kingdoms unite, they will be destroyed and their families torn apart. Jing Ke and Gong Sun Yu seem to be taken aback by the depth and insight in her words, but Gong Sun Li says that had she not been born a female, she would have followed in the footsteps of her grandfather. I'm liking our female lead already. 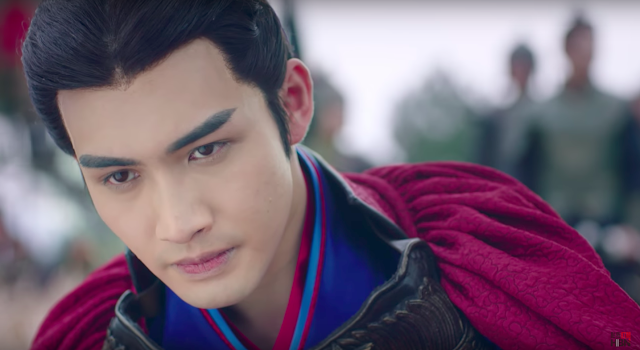 We have the first appearance of our male lead Ying Zheng (Vin Zhang) as the King of Qin and he is exceptionally good looking! He's hunting on the West Mountain where he successfully shoots down a deer. Just as he tells his men to take the deer back with them, an official interrupts to say that it is not allowed. 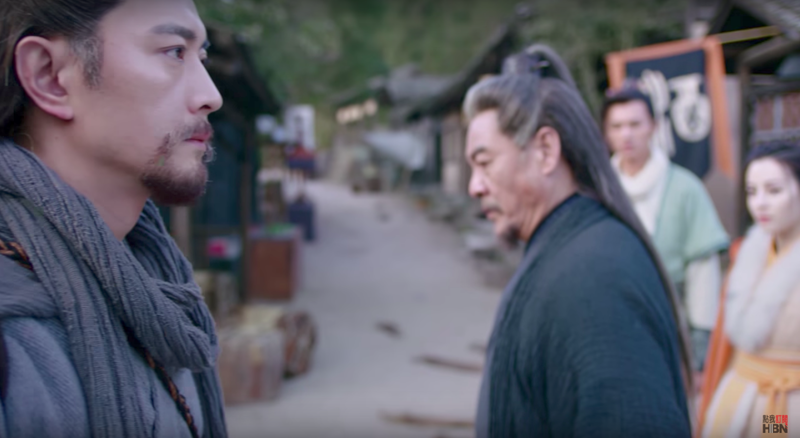 As it turns out, the area is under the control of Duke Chang Xin and any hunted animals are to be turned over to the Duke. Ying Zheng's smile vanishes in an instant. 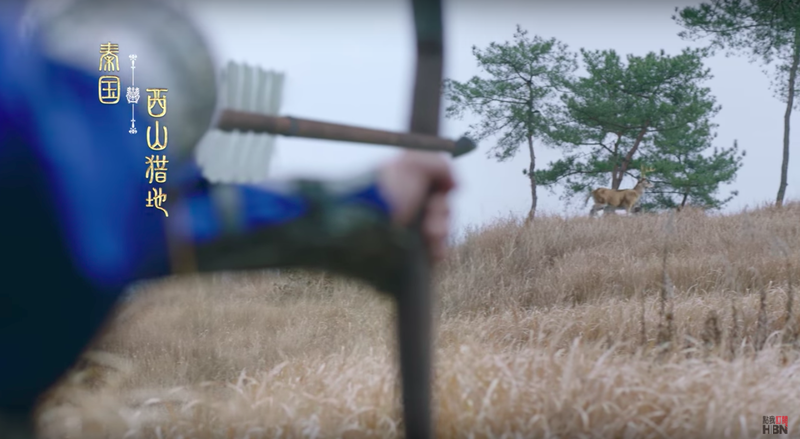 The official justifies that the responsibility to oversee the hunting area was given to the Duke by Ying Zheng's mother and that the resolution of the matter is up to him. Ying Zheng is visibly annoyed but curtly says that he will adhere to the rules. 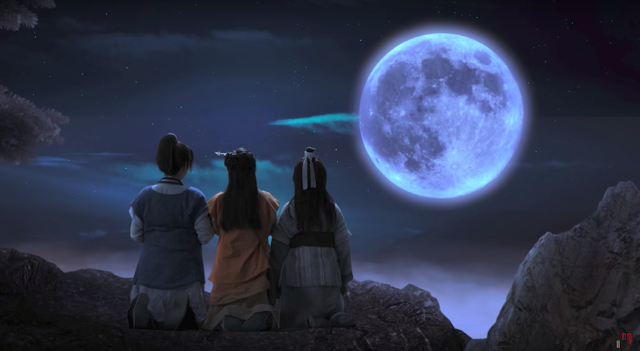 Gong Sun Li, Jing Ke, and Gong Sun Yu enter Yuanyong City just in time to see a young girl calling out for her mother because of trouble caused by some soldiers. Gong Sun Li appears ready to step in, but a swordsman intervenes and with a few martial arts moves, makes quick work of the soldier. He is Ge Nie, the man whom the group had been referring to earlier. 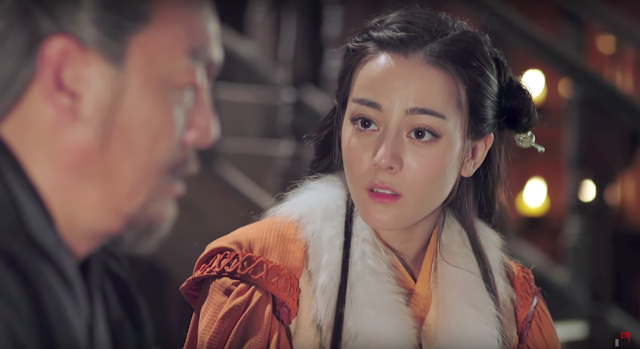 Gong Sun Li tells Ge Nie that they have been searching for him in order to persuade him to join their cause to fight alongside the Six Kingdoms. She says that because he is the world's best swordsman, his addition will greatly raise the morale of the people. Ge Nie is not interested as he no longer wants to be involved in political affairs and moves to leave. 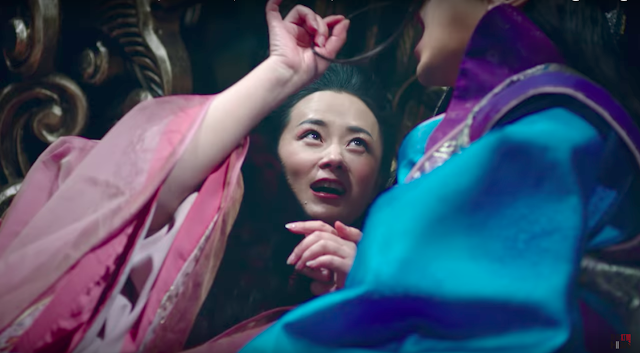 Gong Sun Yu and Ge Nie end up battling each other in a beautifully choreographed fight. Their movements are all precise and effective, both of them obviously highly-skilled. Ying Zheng goes to visit his mother, the Empress Dowager, at her residence in the palace. 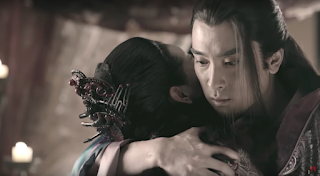 Upon his arrival, he catches her having an intimate moment with Duke Chang Xin. They are both giggling and cuddling, and it's very awkward to witness. With a look of disgust, Ying Zheng clears his throat and the couple break apart. She tries to explain the situation by coming up with a lame excuse, but Ying Zheng is clearly not buying any of it. He tells his mother that everything is ready for his crowning ceremony, and she says that it would make his deceased father very happy. 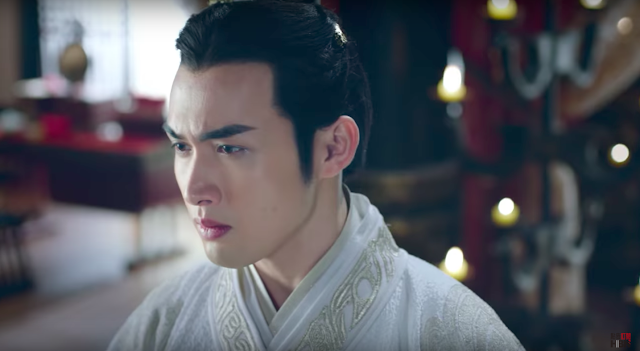 Ying Zheng changes the topic to talk about how Duke Chang Xin is now even overseeing the royal hunting grounds. 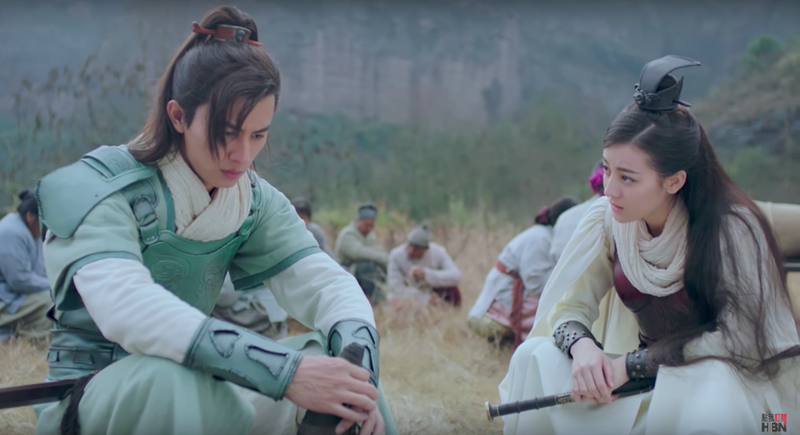 She says that since Ying Zheng is busy and has so much on his mind, she decided that matters of less importance can be handed over to the Duke to lessen Ying Zheng's burden. The Duke offers to return the deer, but Ying Zheng says that it's not necessary. He says that he will give the deer to his mother as a gift since she is rarely in the palace though the animosity and tension between these three is very evident during this scene. Meanwhile, Gong Sun Yu and Ge Nie are continuing their fight. Ge Nie wins and Gong Sun Yu is defeated, which he accepts with grace. 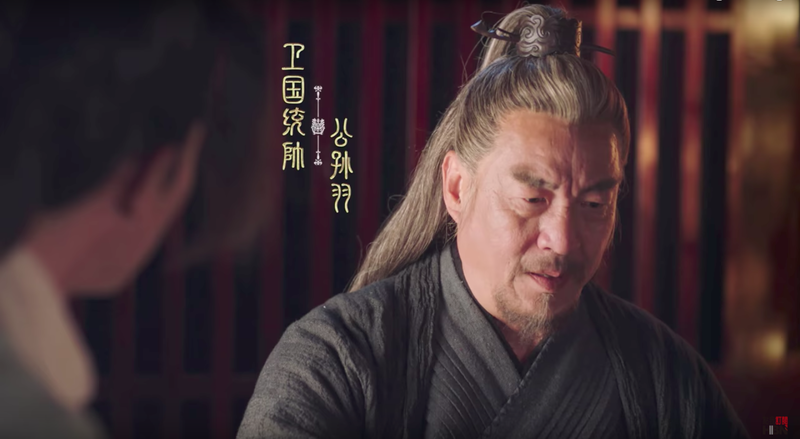 Ge Nie says that he has no interest in court matters, but he does share information about General Meng Wu setting out with the Qin army which would put Puyang City in grave danger. I like him and I hope that we get to see more of him. 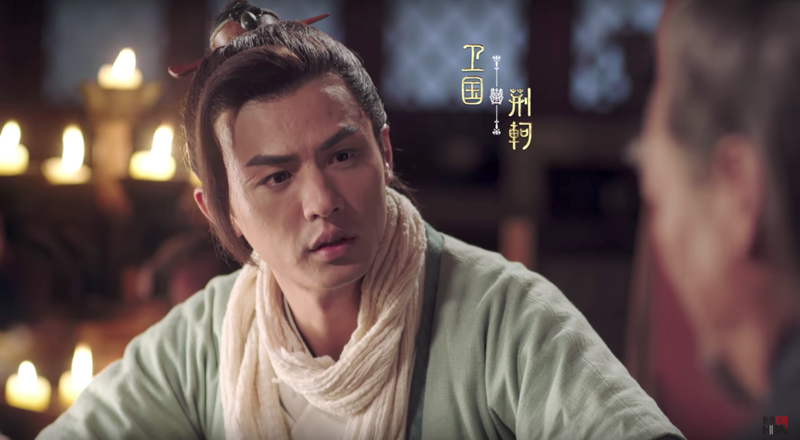 Ying Zheng is still fuming over his mother having intimate relations with the Duke. His brother tells him not to worry about the affairs of the inner palace and to shift his focus on his fight with Chancellor Lu Buwei. However, Ying Zheng is no dummy and says that the inner palace is where an attack would originate. An underling comes to report that the deer has been taken care of according to Ying Zheng's wishes, which pleases him. 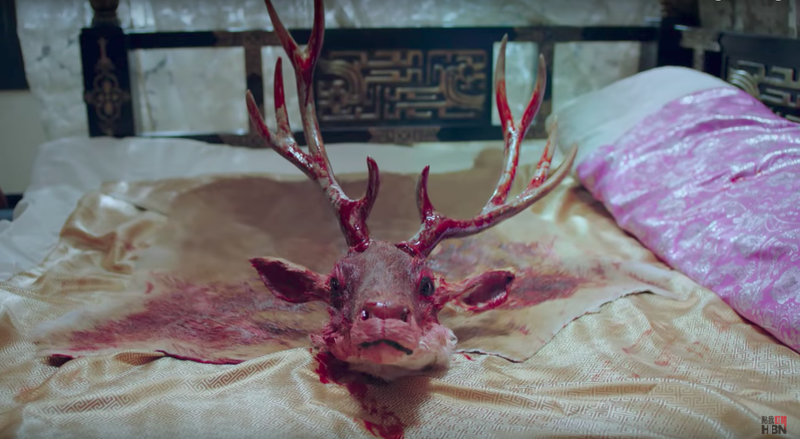 His mother and Duke Chang Xin wake up the next morning covered in blood and find that the head of the deer has been cut off and left on their bed. 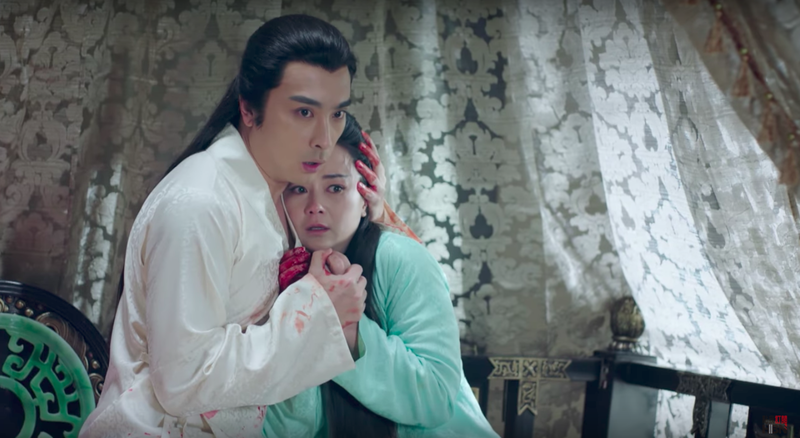 It's a scene straight out of The Godfather and the King's mother and Duke Chang Xin hold each other tightly, shocked and frightened. 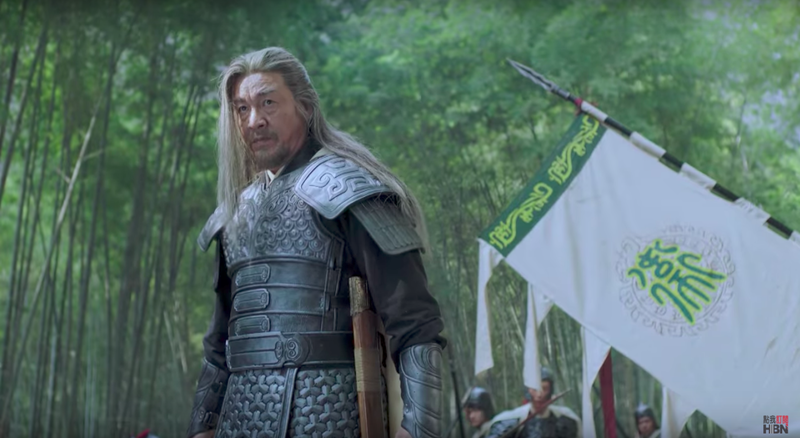 We then meet Han Shen (Li Tai), another one of Gong Sun Yu's disciples, and hear the news that the Qin troops are outside Puyang City readying to attack. 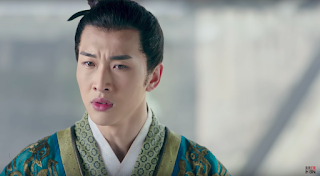 Gong Sun Yu tells his two disciples to secure the Eastern and Western city gates in order for the civilians to escape and declares that he will lead the Puyang City troops. 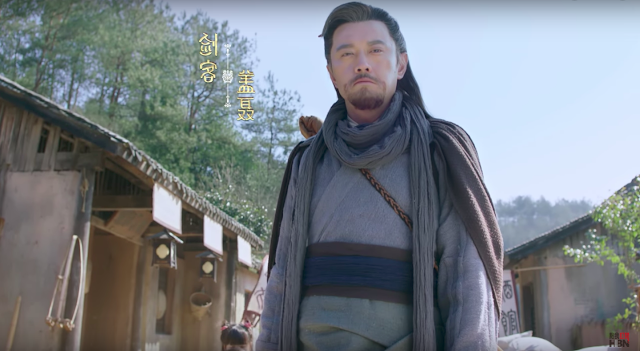 Gong Sun Yu doesn't give his own granddaughter an assignment, saying that things will become very complicated during the battle. He tells Jing Ke to watch out for her, and it is obvious that his main concern is simply her safety. As expected, she is not happy with the plan since she also has the desire to do everything that she can for her country. Gong Sun Yu says that she needs to stay safe, being the last of their family since her parents had already sacrificed themselves. 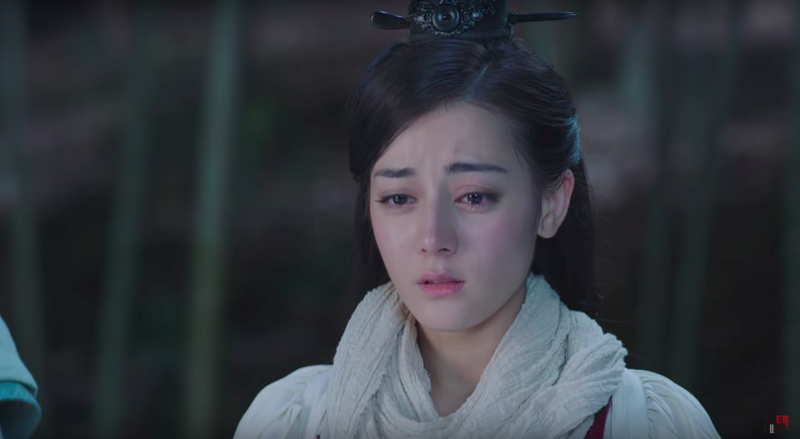 Gong Sun Li says that the others are contributing and will be in danger, and what would be the point in her surviving, but being all alone? I'm liking our heroine even more, brave with a strong personality. The next scene has Duke Chang Xin commanding soldiers to kill Ying Zheng because the real king had been 'murdered' and the current king is a fraud. 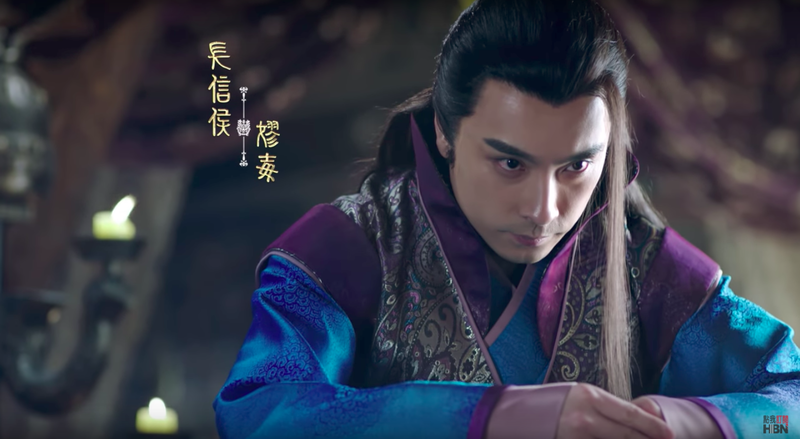 He even has a military seal from Ying Zheng's mother to convince them to go along with this plan. Ying Zheng partakes in his crowning ceremony where he first bows to honor his ancestors. He is crowned by Chancellor Lu Buwei, and then greeted as King by his advisors and soldiers. 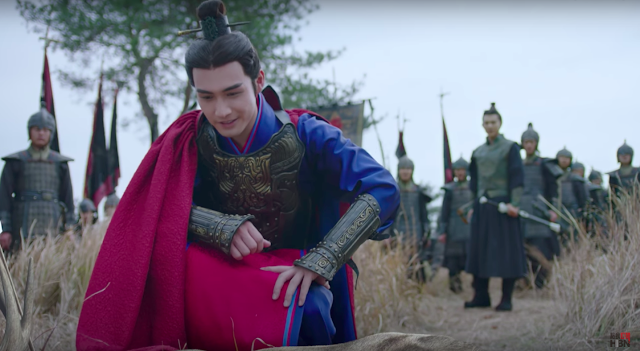 It's quite an impressive scene as everyone kneels in deference while Ying Zheng is shown having a bit of a smirk on his face. Qin's troops approach Puyang City, and it's a bloodbath as soldiers from the two sides collide. The Qin soldiers break through the city gates with Gong Sun Yu looking on. It's clear that nothing good can come from this, none at all. 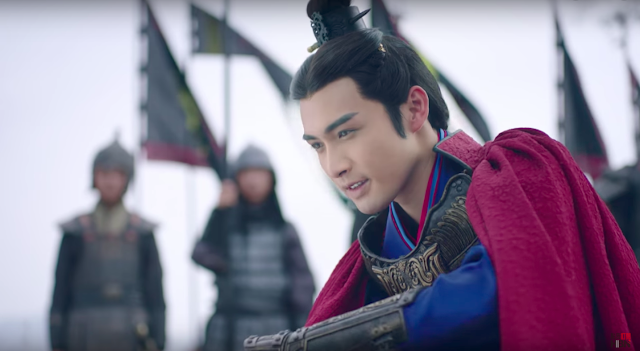 Ying Zheng receives the news that his troops have entered Puyang City and he is quite pleased. The Qin troops are met by Han Shen and Gong Sun Yu. Their leader calls forward four of Qin's top master martial artists (Wind, Forest, Fire and Mountain) to lead the fight for their side. Gong Sun Yu orders Han Shen to lead the civilians out of the city while he stays behind. 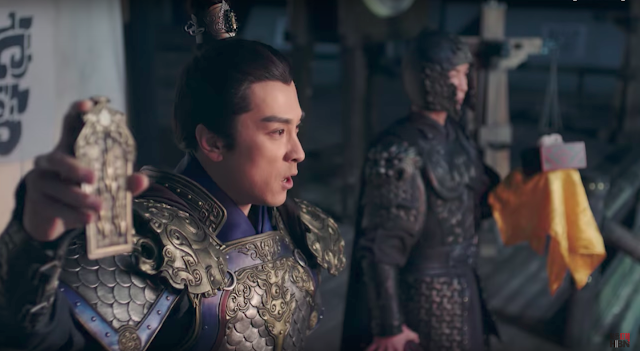 Han Shen tries to protest, but Gong Sun Yu is firm. 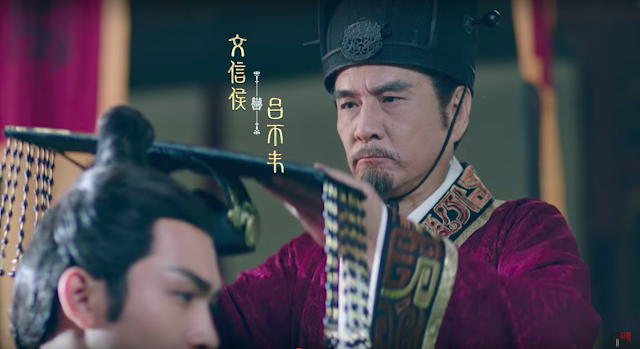 Ying Zheng receives word that Duke Chang Xin has his mother's military seal and is coming after him for being a fraudulent King. Ying Zheng is furious at this and orders his horses to be prepared as he is determined to kill the Duke himself. 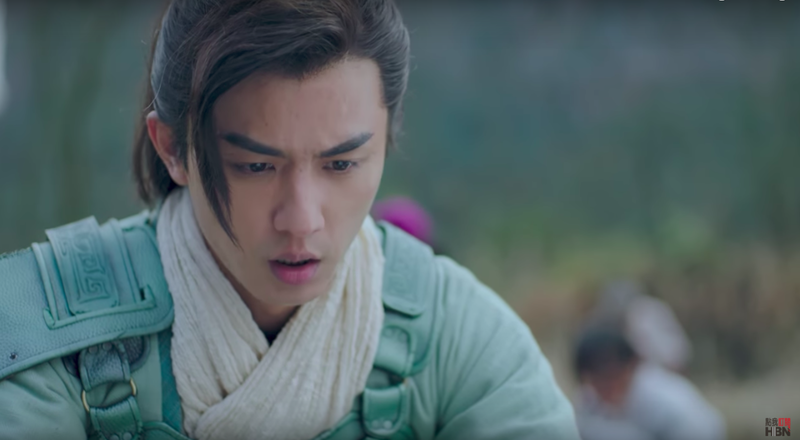 We learn that his mother actually pleaded with Duke Chang Xin not to rebel because Ying Zheng is her child. It seems that the military seal was not willingly turned over to the Duke but was forcibly taken as the he restrained her. He says that if he does not kill Ying Zheng, he will be killed instead. Outside the city, Gong Sun Li finds out that the plan for her grandfather to leave the city and meet up with them was a lie. 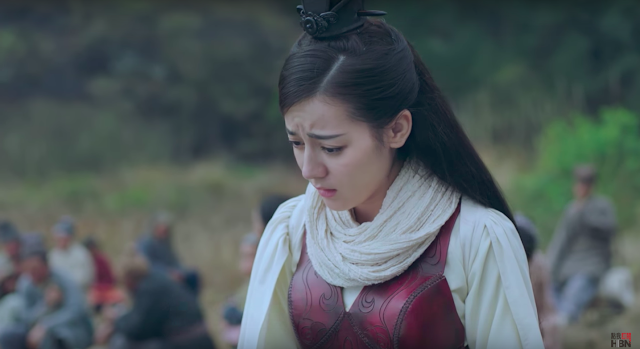 Her grandfather has gone to fight the Qin troops with no plans of returning since he has vowed to defend the city until his dying breath. She decides to head back towards to the city with Jing Ke at her heels. 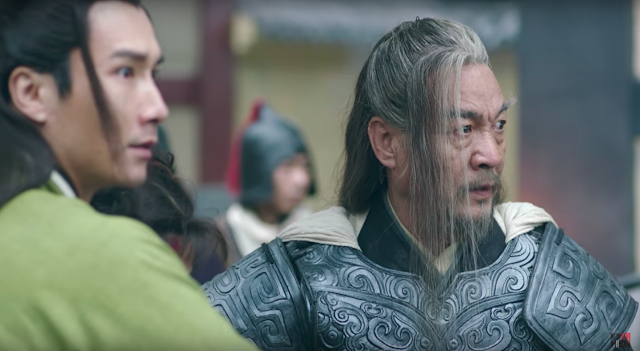 Gong Sun Yu is bravely doing the best he can, but he is facing four extremely strong warriors and ultimately one of the them stabs him in the stomach. 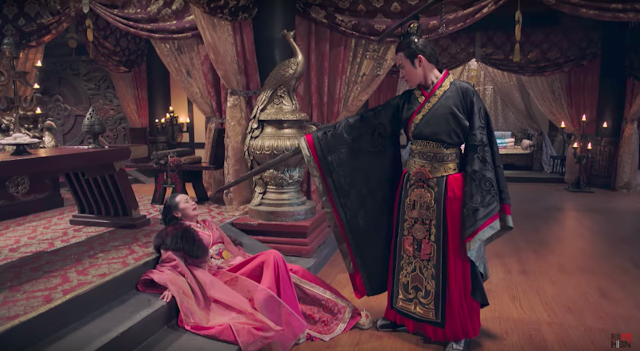 By the time Gong Sun Li arrives, the scene has cleared and her grandfather is lying on the ground, close to death. She assures him that she will find him a physician, but her grandfather knows that it's too late and tells her to live for herself. He also tells Jing Ke to protect her, and then he dies. 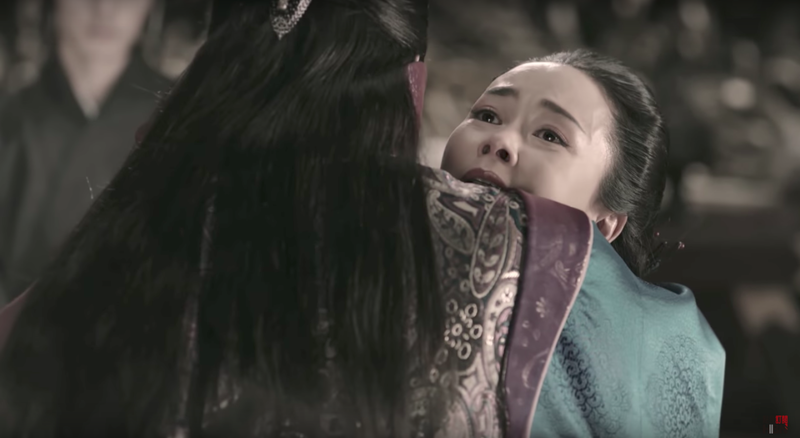 Jing Ke and Gong Sun Li are both crying through this scene, and it's extremely sad to watch. The Duke is defeated but manages to escape. 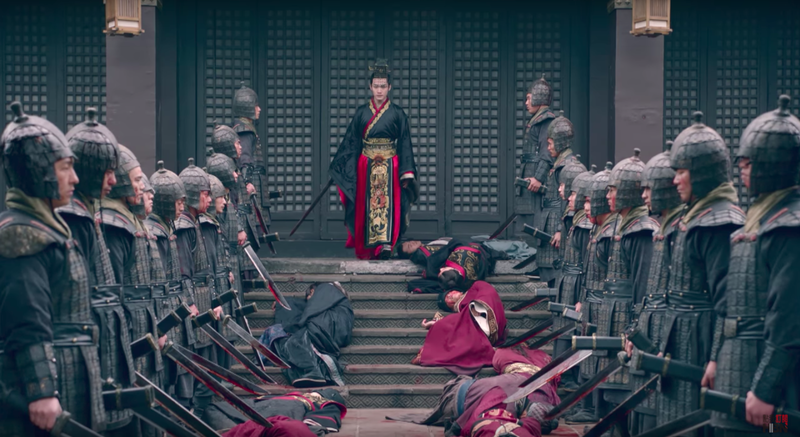 Ying Zheng arrives to a city with his soldiers looking for the Duke and orders everyone present to be killed. He personally kills several people and even cuts the throat of one of the officials. 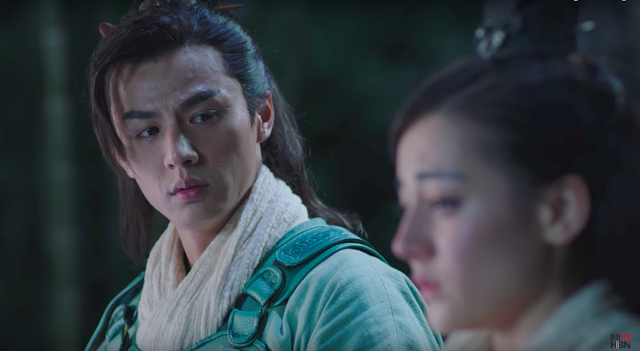 Ying Zheng confronts his mother later that night. 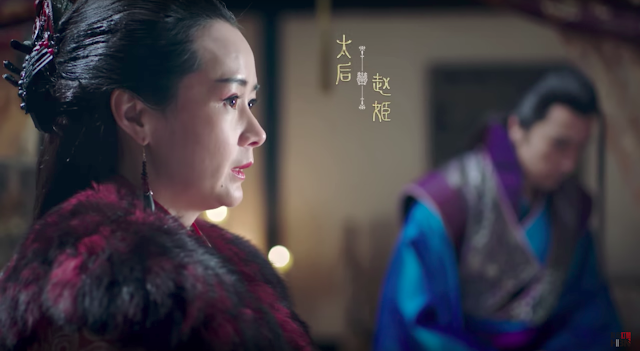 She pleads and says that she never wanted to turn over the military seal to the Duke, but Ying Zheng is angry and has no time for any of it. He pulls out his sword and aims it towards her while she cries that he doesn't understand how lonely she was. Just then, Yu Xiang Guo interrupts and tells the King that although she has done wrong, she is still his mother and their maternal bond cannot be ignored. 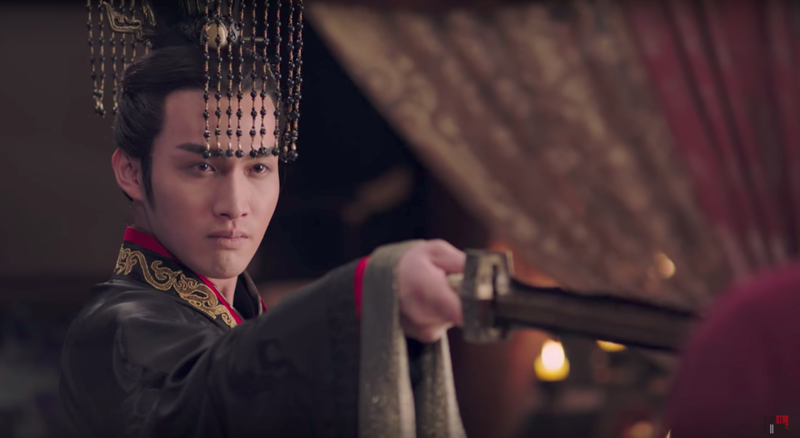 Ying Zheng changes his target and aims his sword at Yu Xiang Guo though he doesn't kill either of them and merely punishes his mother by forcing her into exile. In the woods, Gong Sun Li and Jing Ke bury her grandfather and bow to his grave. She is in tears as she declares that she is truly alone without power or strength and she wonders what she can possibly do to help her country. Jing Ke reaches out as if to hold her and comfort her, but then withdraws his hand. 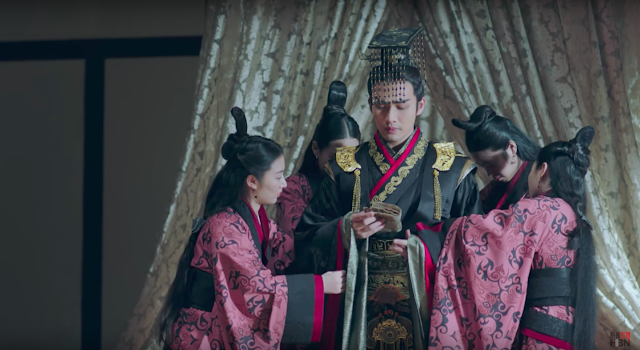 Back in the palace, Ying Zheng is being dressed by his maids one morning and he takes out a piece of cloth from his robes. He flashes back to a time when he was a young child, hanging off the side of a cliff with another boy and a girl trying to pull him up. It's a young Gong Sun Li and Jing Ke! I was not expecting that they would have this connection from childhood. 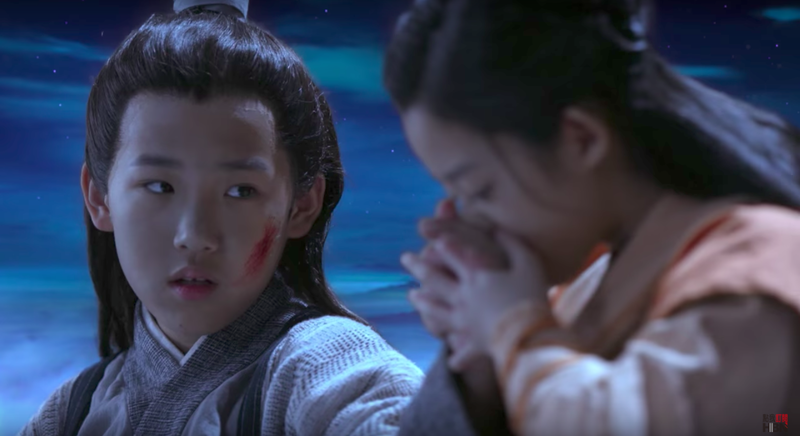 Gong Sun Li notices that Ying Zheng's hand is injured and kisses his injury a few times before binding it with cloth (the same one that present day Ying Zheng must be holding). It's a cute scene and from the expression on his face, this is when Ying Zheng started having feelings for Gong Sun Li. 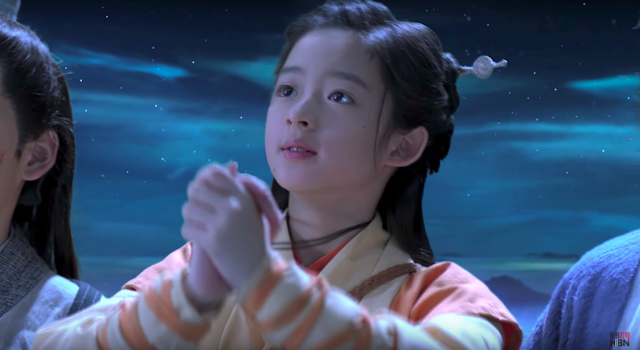 The children each make a wish to the moon - Gong Sun Li hopes for peace and health always, Jing Ke prays to be skilled in martial arts like Gong Sun Li's grandfather and Ying Zheng wishes to be feared so that he can protect those that he wants to protect. Aww, these kids are adorable (and the girl is the same kid from Princess Agents). The similarities are obvious between the kids and our trio that is now all grown up. 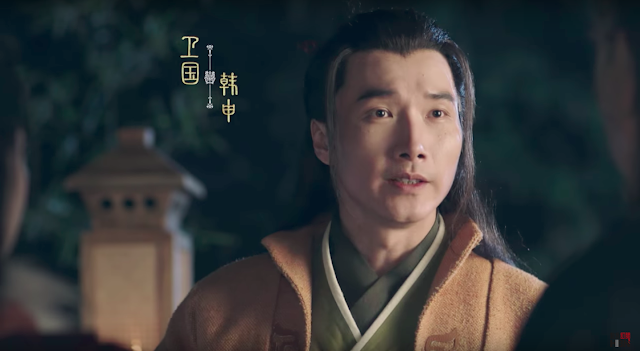 Just then, Ying Zheng is called to court and he puts the cloth away and it seems that he carries it with him at all times and treasures it deeply. First Impressions: I enjoyed the first episode. The main characters have been introduced, and everyone is acting their roles quite well. I'm excited that we have Dilraba and Vin in the female and male lead roles for this drama as I think that they fit very well together. She is so very pretty and he is very handsome. Although both acted in Ten Miles of Peach Blossoms, their storylines and paths never intersected. I can only recall one scene where they talked at Kunlun Mountain when Dilraba as Feng Jiu was distraught over Dijun and Vin as Li Jing was still pining after Bai Qian. 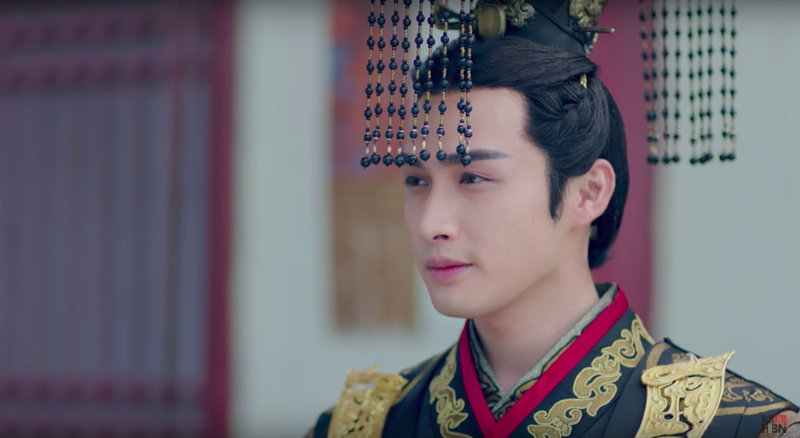 In this first episode, we are introduced to our eventual love triangle and can already see the conflicts that will hinder the relationship between Gong Sun Li and Ying Zheng. 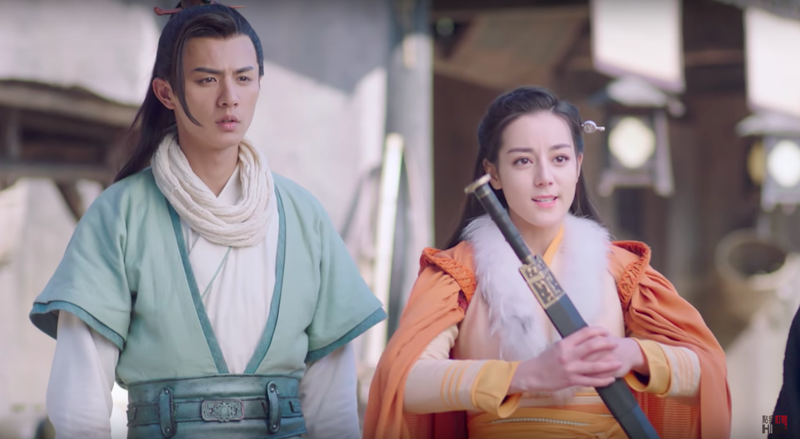 They stand on opposite sides with very different objectives as Ying Zheng aims to have his Kingdom of Qin conquer the Six Kingdoms while Gong Sun Li fights on the side of wanting peace in her Kingdom of Wei and in the Six Kingdoms. 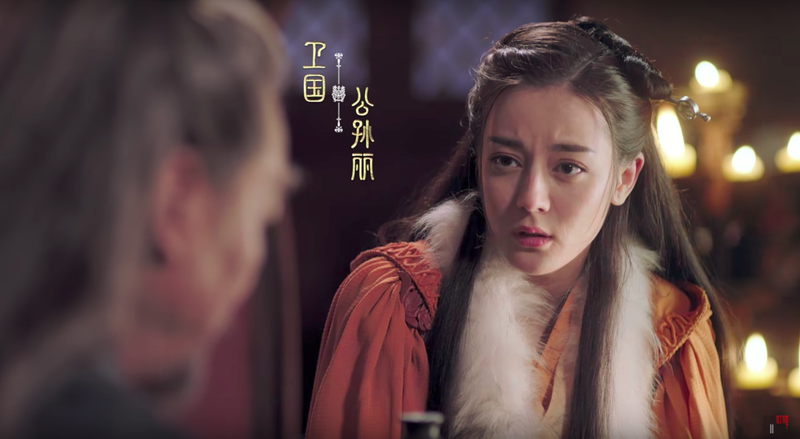 There is also Ying Zheng's role in Gong Sun Li's grandfather's death, and it will be extremely difficult for Gong Sun Li to overcome that on top of her feelings for Jing Ke. We see that although Ying Zheng holds the title of King of Qin, he is constrained on all sides and desperately wants to break free of these restrictions. He takes a very hardline stance, unwilling to show mercy and is ruthless towards his opponents. I think we will see Gong Sun Li becoming the one chink in his armor. Some Chinese dramas start off either too fast or too slow, but this drama's pacing seems to be right on so far. 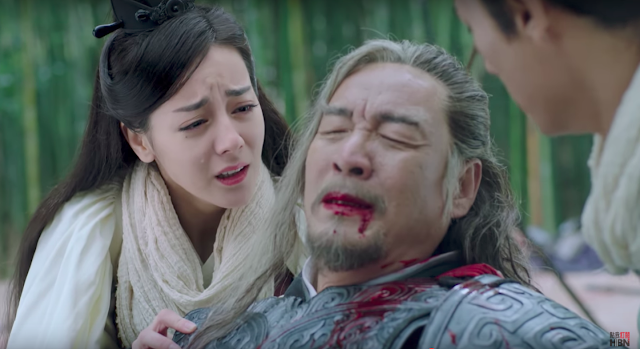 I wasn't expecting that we would see Gong Sun Li's grandfather die so early on, and I'm hoping that this is a positive sign as to how the rest of the drama will unfold because it can get really frustrating and annoying when dramas drag on. 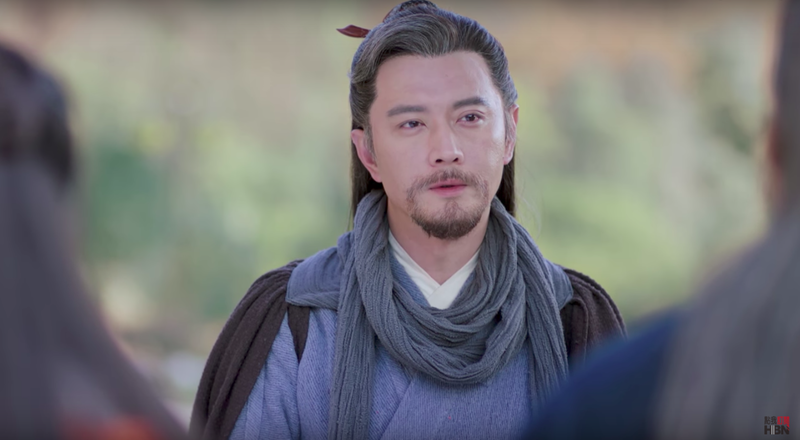 It is unfortunate that Gong Sun Li's grandfather died so early on in this drama, and I will miss him. We can see from his few scenes in this episode that he was a very family and country oriented person, and his greatest priority was to protect his granddaughter and innocent civilians. In the end, he sacrificed his own life to do what he felt was right. I'm excited to see what happens next with our characters and their story! What about you? I watched the first ep on viki. The story will probably be predictable and the emperor seems too powerful to be in any danger. Maybe they should have had some long fight scenes for the main guy and main gal. Thanks so much for the great recap. It explained the parts I was a bit confused about. So far I'm impressed by the acting especially Zhang Bin Bin and the veteran actors. Direction, cinematography and the gorgeous costumes are all great. I was very impressed by the fight scenes too. Wasn't expecting such good fight choreography and so well filmed. My biggest complaint is the editing between scenes. It's very choppy and some scenes seems to have just been cut all of a sudden at random points which was confusing. ooh, could this be the show that you have been waiting for? :) Oddly enough, I have yet to catch the first episode. 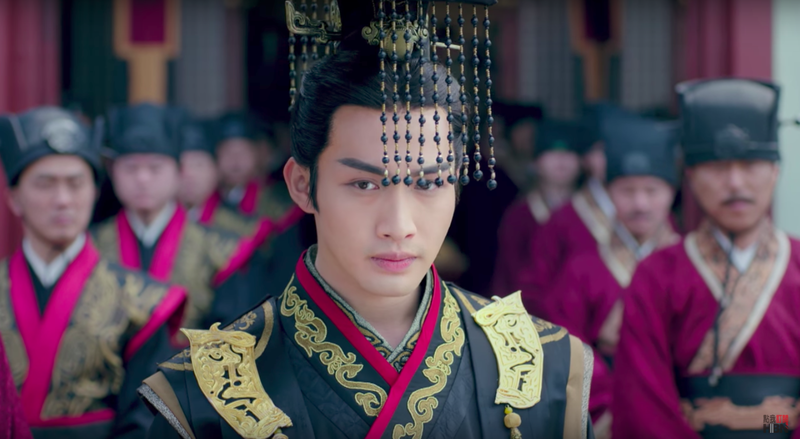 Can't say that I'm that drawn to the plot, but the leads look stunning in their costumes, not that I was expecting anything less. @ Anne J: Hopefully! I will wait for a few more episodes to be translated and marathon them but so far I'm liking it. 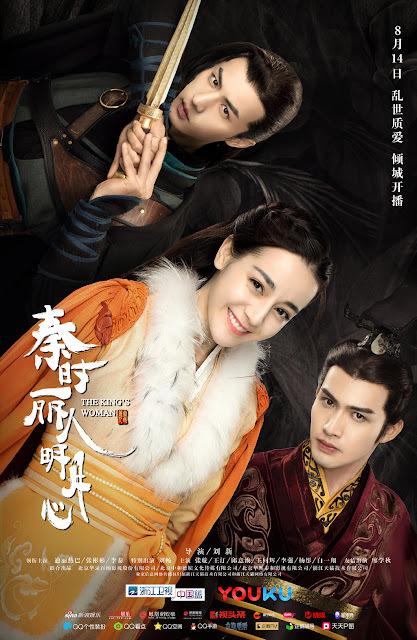 Strong female lead, handsome comlex male lead, good supporting cast, great fight scenes and it's a good balance between serious drama and some idol drama cliches. Sofar it's setting things up well but I think the plot will really take off when our heroine goes into the Palace. Also so relieved it has a nice reasonable episode count of 48 episodes. Thank you for the recap. First episodes of a new drama are always very confusing to me and difficult to follow, because they provide so much information and introduce many characters. So your recap made it much easier for me to understand what was going on and,as a result, to enjoy it more. This drama starts well, I'm already looking forward to the next episodes. To become the emperor of the Qin dynasty, the emperor had to beat 6 other states : Zhao, Wei, Han, Chu, Yan, Qi. 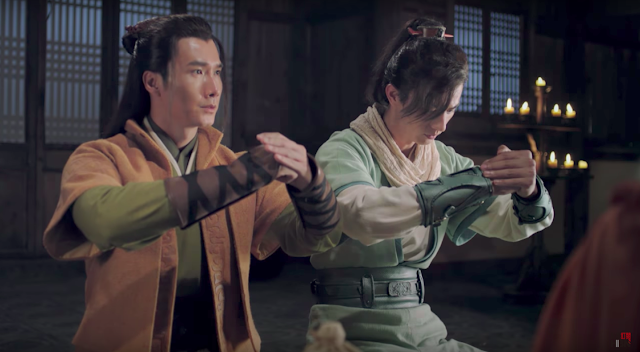 The main gal and the main guy are basically on opposites sides of the war similar to General And I and Princess Agents. The main gal is with the Wey state (has city Luoyang and city Puoyang) which is sandwiched in between Wei and Han, and the Wey state seems to be serving the Wei state then Qin state. I actually really disliked this drama's beginning, too confusing and chaotic.